A guiding principle in participatory action research collaborations is to strive for equity in relations between community and academic project partners. One promising way of assessing equity and power sharing in such partnerships is to trace and analyze financial resource allocation within them. 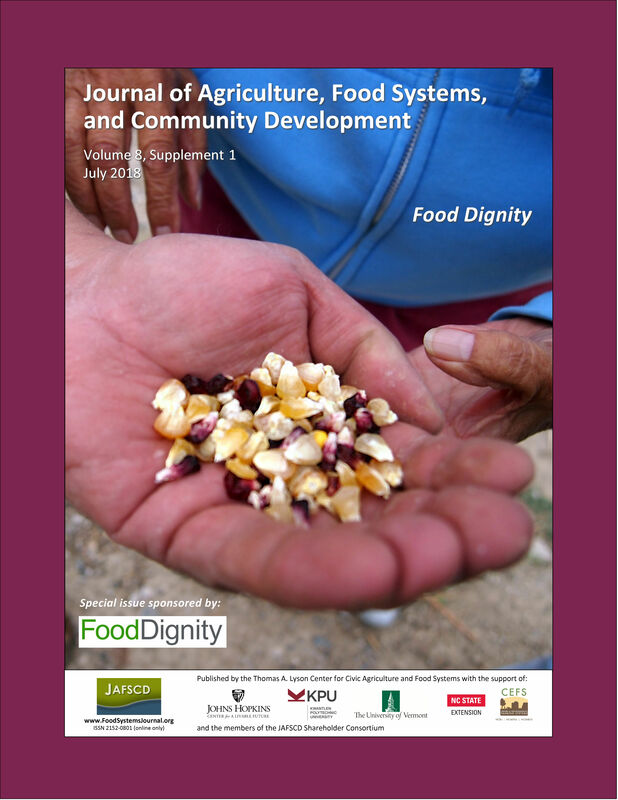 This paper reports and assesses how nearly US$5 million in grant funding was allocated and spent between community and academic partners in a research, extension, and education project called Food Dignity in the United States. Findings from this analysis of extensive financial project records include that 36% of the funding was subawarded to the five community-based organization (CBO) partners, 40% supported the work of two univer­sity partners, and the remaining 24% was invested in developing and supporting the collaboration of many diverse partners on a wide range of project goals. Staff salary and fringe composed the single largest spending arena, making up about two-thirds of spending for CBOs and collaboration, and half for universities. However, had faculty salaries been paid from the grant, rather than by the partnering universities, then this component would have been much higher. Indirect costs and support for gradu­ate students were the next-biggest categories in academic budgets, while CBOs received and spent zero dollars in these arenas. Although this project has received a national award for community-campus partnerships, we find that, even within a narrow lens of an individual community-university partnership, our allocations underinvested in the research expertise, administrative costs, and capac­ity development needs of the CBOs. Using a wider lens that encompasses the systemic, institutional­ized inequities between community-based and university-based partners, we find that we pro­duced and reproduced inequities in our monetary resource allocations in at least four main ways: employment conditions, institutional support, capacity development, and autonomy, including control over funding. We call these systemic inequities academic supremacy and close with several institutional and individual recommendations for how to begin undoing them.